October 16, 2012 - Iran's Press TV reported in their article, "Press TV viewers slam EU move to ban Iran channels as illegal, hypocritical," that "Press TV viewers have condemned as illegal and hypocritical the ban imposed by the European officials on the broadcast of several Iranian satellite channels." Nearly no mention is made in the Western media regarding the blatant act of censorship - an act that runs contra to all perceived notions of "Western values," and an act that directly undermines the narratives of the West supporting "freedom" and "democracy" around the globe. 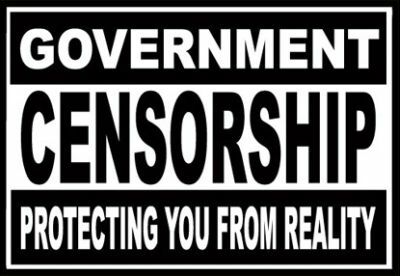 Image: The West has spent billions trying to leverage "freedom of speech" and "human rights" as a means to undermine, destabilize, overthrow, and replace governments around the world, from the US-engineered Eastern European "color-revolutions" after the fall of the Soviet Union, to the latest US-engineered "Arab Spring," and all across Southeast Asia. Now with the West pursuing its own campaign of censorship, it is clear that these "values" were merely selectively and opportunistically manipulated. The news has been buried under reports regarding a new round of sanctions passed by the EU which was recently awarded the Nobel Peace Prize even while pursuing multiple wars across the globe, including continuing operations in Libya, the subversion of Syria, and a decade long occupation of Afghanistan which sees weekly civilian massacres by NATO air strikes on both sides of the Afghan-Pakistani border. In fact, the most recent NATO atrocity occurred not even a week ago, killing 3 children in the Helmand province. Of course this was absent in Western headlines, but it did make headlines in Iran's Press TV, and indicates a more realistic explanation to the EU's decision to ban the Iranian news service. Clearly the EU has no qualms over endangering civilian lives - its concerns over "human rights" are a selectively applied value it uses against its enemies with demonstrably no intention of holding itself to similar standards. Now, the EU has applied this same selective application of supposed "Western values" to "freedom of speech," curtailing it when that speech endangers its own interests, and pursuing "freedom" when it advances their agenda. And it is this hypocrisy that the increasingly popular Press TV news service has been illustrating, as a counterweight to the uniformly biased and compromised Western press. It was US Secretary of State Hillary Clinton who stated that censorship incurred "long-term economic and social costs," with oppression leading to "civil unrest and not security." 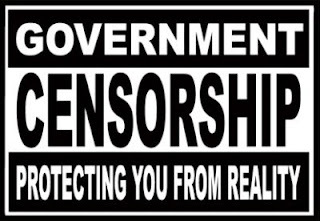 Many Western politicians executing corporate-financier driven policy have stated that a regime's pursuit of censorship was a sign of weakness and fear - an indicator that its opposition was gaining ground and that more overt, visible, even desperate measures needed to be implemented. Censorship, according to the West's own narrative, is part of a self-defeating cycle where legitimacy and the mandate to lead increasingly is fading. With that consideration in mind, the censorship of Iran's Press TV should be a sign that Iran's efforts to balance global public perception skewed by the vast resources of Wall Street and London are succeeding. Along with Russia Today (RT), Press TV has provided nations who aspire to live in a mulipolar world where the primacy of the nation-state prevails, a model to follow in combating the unwarranted power and influence of Western media houses. Above all, it should be noted that a key contributing factor to Press TV and RT's success is the growing alternative media - media by the people and for the people - whose legitimacy and reputation is measured in accuracy, consistency, and objectivity, not slick graphics, expensive suits, and million-dollar studios. The alternative media has provided content for growing national news agencies seeking to challenge the West's hegemony over information, and while national news agencies ultimately pursue national agendas, the content they are drawing on generally come from people simply seeking the truth. The EU's act of censorship against Press TV is in turn a strike against the alternative media. Instead of being seen as a setback, it should be seen as a success and a signal to redouble our efforts as individuals to assert our own will and vision for the future over that of the miniscule global elite who have so far gone unchallenged in their designs and aspirations. The alternative media should be only the first in a series of people-driven alternatives systematically undermining and replacing existing corporate-financier dominated paradigms.